Finding the most trending coding or programming language, given at any point in time, has become super easy. The world of the Internet has given people the blessing of accessibility. This is most opportune in the case of both an engineering fresher trying to crack the dream job or even an existing professional in the industry looking forward to climb up the career ladder. For aspiring web developers being up-to-date with the best picks of the programming world is not just exciting but is also essential. One click on the search engine and there you have it, hundreds of programming languages. Same goes if you search for the top 10’s or top 5’s. The recently announced best in 2017 is the Python. Now, that obviously doesn’t go without reason. Till last year, Python as a coding language stood in the 3rd rank among the top 10. But, this year it leaped to rank one and thus became the most sought after coding language. Time to look at the progression which is not miraculous but well justified. The IEEE Spectrum is one of the most authenticated in the industry that can be trusted. They have published the annual ranking recently that shows Python in the first position among all languages. Their ranks are not drawn from a mere whim but, a result of detailed analogy taking into consideration various parameters. Take a look at Python and its progression in rank! First launched as a general purpose, high level and open source coding language in the year 1991, Python has persistently been one among the list of the best programming languages of all times. Its dynamic nature certainly vows for it. Python’s popularity among the web developers has been witnessed to grow at a pacing rate over the last five years. Why? Simple, it is both easy to learn and is readable. The readability of this code language is emphasized by the whitespace indentation. The recent humungous hype and popularity of Python is almost self explanatory owing to its user-friendly attributes especially in the case of first time programmers. This one is being widely used by organizations that deal with web development as well as scientific computing. Top class and widely used applications have been developed using the Python coding language. Just name it and there is, YouTube, Instagram, Reddit etc that is based on this worldwide popular programming language. As developer aspirants you must be in search of that coding language that all the global companies’ demand at the moment. Not to worry, Python is definitely the one. The popularity list that Python has topped this year has been drawn by the IEEE. The basis of the research has been twelve factors or metric those were determined considering the job openings for developers posted by the employers. The trusted data on which the study was conducted was accumulated from ten separate sources namely, Google Trends, Google Search, Twitter, Hacker News, Stack Overflow, Dice, IEEE digital library, Reddit, GitHub and CareerBuilder. No wonder, Python is trusted to be the most popular coding language of recent times. The 1st rank of Python was thus determined based on the interest of the Tech companies. The python clearly takes the trophy of the most desired code language of 2017 by almost all recruiters in the industry. C, C++ and Java are next in line after the famed Python. So, get all geared up with the coding skill of Python! The popularity guide list is of importance if you are willing to stretch your career graph and take it to its heights. Being updated with the times best and most in-demand programming language will not just bring you face to face with better career opportunities but will also help you attain maximum efficiency in existing job roles. So, always keep an eye on the changing results of the coding language popularity surveys. Until then, Hail Python! 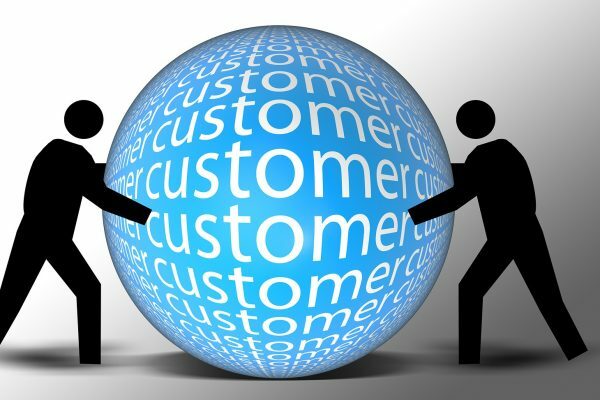 Why customer relationship is crucial for a business?